Enhance the paint adhesion of wooden shutters. Angle of cutters should be amended about 20 to 13 degrees in order to increase its sharpness of edge. Reduce the number of tool teeth for increasing its sharpness and exact availability. 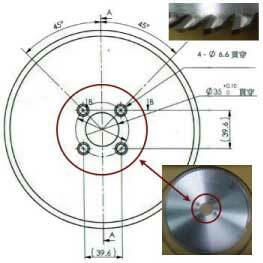 Improve the accuracy of cutter deflection in tolerance. There are some significant improvements about deckle edge after problems solved!